Personal development coaching shows us a path for succeeding even when we fail. Great leaders are also great failures - meaning, they know how to fail successfully. They understand the power in 'failing forward'. Successful leaders realize that in order to succeed, one must be willing to fail. However, when they fail they do not crumble from the experience. Rather, they take that defeat, and chalk it up to nothing more than education; nothing but the first steps to something greater in their journey toward achieving their goal. One of the first lessons in life is to learn how to get victory out of defeat. It takes courage and character, when mortified and embarrassed by a humiliating defeat, to seek out the lessons for future greatness. Observant leaders watch with great interest the first failing of a young man or woman. The response they give can become the theme of their life. It's the leader's job, through one-on-one personal development coaching, to guide the young employee and teach them how to embrace their first failure as a stepping stone toward their next great achievement. The mere fact the person failed is not what should interest you the most; but how did he or she take the defeat? Was he encouraged? Did she pull back never to take so bold a step again? Did he quickly conclude that he wasn’t made with the right stuff to take on the challenge, and immediately change directions to dabble in another area? Or did he pick himself up and go at it again with re-doubled determination that knows no defeat? Once you know how to wring victory from your defeats, and make stepping-stones of your stumbling-blocks, you've gained a powerful tool that will be the secret to your future success. "Failure is a test of the human spirit; a test of persistence and of an iron will." There is something truly grand and inspiring in a person who fails wholly after giving it his very best, and then quickly goes at it once again with a renewed vigor and persistence. No one should fear for the person who will not be disheartened or discouraged at failing. These individuals maintain their eyes of the prize and they refuse to quit. They see a failure as a bump in the road, not an indestructible wall to their success. 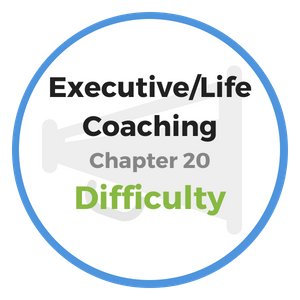 Leaders must teach team members to define failure in this way during personal development coaching sessions in order to prepare them for the real world. No man or woman is a failure who instinctively stands upright and true to the passion that fills their heart. Our only true failing is in quitting and not being true to the best that is in us. The one who has never failed, has never even half succeeded. The danger is not in a fall but in failing to rise. Beware, uninterrupted successes at the beginning of a career can be dangerous. Many have become ruined by over-confidence that is born of their first sequential victories. All the great work in the world has been accomplished by courage, and the world’s greatest victories have been born out of defeat. Every blessing that we enjoy – personal security, individual liberty, and constitutional freedom – has been obtained through long hardships and hard-fought battles of will and determination. "Failure either crushes a life or solidifies it." During personal development coaching sessions leaders should routinely discuss the importance of not being afraid of failing. 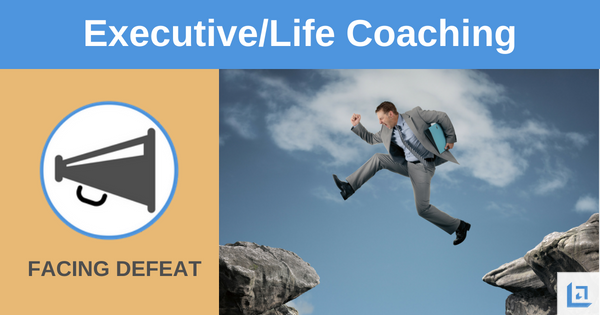 Explain to your associates that you are never closer to victory as when initially defeated. When you take what you’ve learned from your defeat, adjust yourself according, and then go back after your goal – success will inevitably be yours. Any goal worth achieving will have its challenges. To achieve the goal may take a few attempts, but ultimately the one who sticks will it will experience the rewards of victory. Describe an instance in your life when you have failed at something you truly tried hard to achieve. Explain why it meant so much to you and how you felt by not achieving your goal. Explain how you responded to the above failure. Are you satisfied with this response and do you feel it serves you well? Do you wish to improve in this area of your life? Given what you know now from the above chapter on Victory in Defeat, how will you define failure going forward, and how might you respond differently the next time you are facing a potential failure? 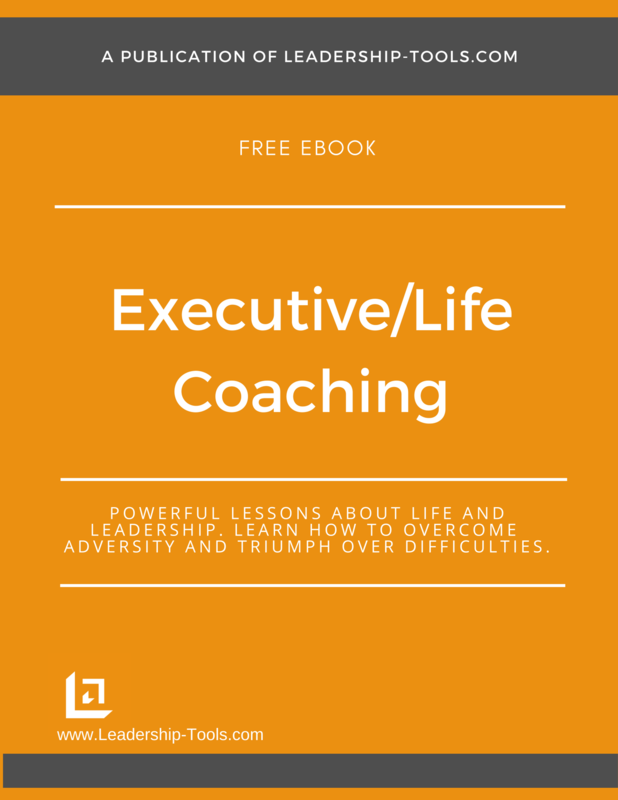 To download our free Executive and Life Coaching training book, providing personal development coaching lessons and leadership exercises, simply subscribe to our free newsletter. You will immediately receive a password that grants access to our entire leadership tools library.